A Gorgeous 5.42 Carat Near Flawless “VVS CLARITY” GIA Certified UNHEATED & UNTREATED Natural Green Sapphire and Diamond 18k White & Yellow Gold Cocktail Anniversary Engagement Ring. As noted in the GIA Gemological Report, this world class 4.31 carat (exact carat weight) absolutely stunning 100% Natural sapphire specimen is unheated & untreated making this rare beauty one of the most beautiful & prized sapphires in the world. The gorgeous big size sapphire is set with an impressive 46 round brilliant diamonds totaling 1.11 carats with Near Flawless to Eye Clean VS1-SI2 Clarity and Near Colorless G-H color all set in a gorgeous Solid 18k white & yellow gold setting. GIA CERTIFIED 5.42 carat estate engagement – anniversary – cocktail ring featuring an Incredibly Rare Near Flawless VVS Clarity UNHEATED & UNTREATED Natural Green Sapphire set into SOLID 18k White & Yellow Gold and accented with sparkling diamonds. 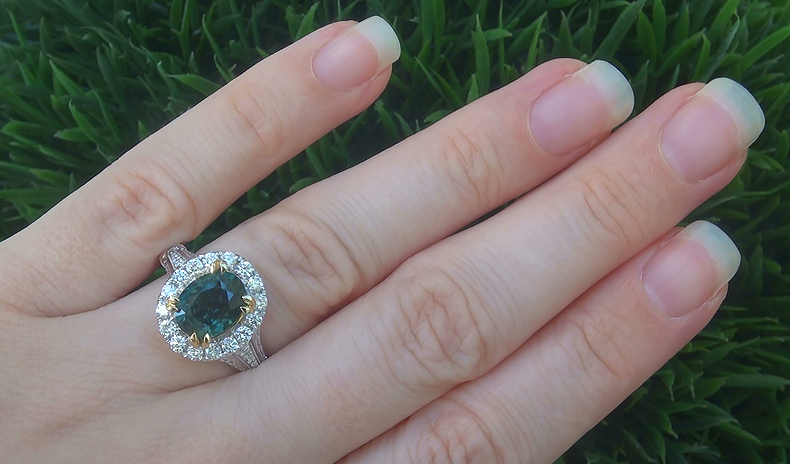 The “Jaw Dropping” Green Sapphire measures 9.96 mm x 7.51 mm x 6.44 mm with the highly sought after EXOTIC Rich Green Color and an Oval Brilliant Cut weighing a JUMBO 4.31 carats (exact carat weight). 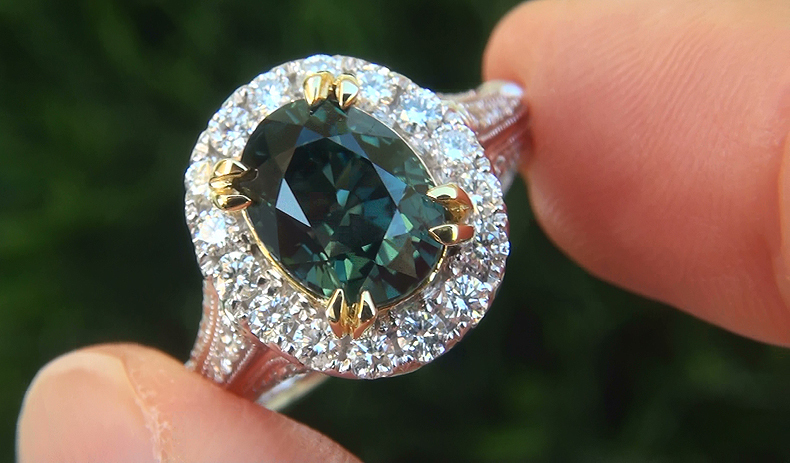 There are also 46 round brilliant natural untreated accent diamonds totaling an additional 1.11 carats set with the Green Sapphire in a classic style. These “Perfectly Clear” diamonds are graded at Near Flawless to Eye Clean “VS1-SI2” Clarity with NEAR COLORLESS “G-H” Color so you can be assured of the OUTSTANDING quality, excellent brilliance, flash, sparkle & fire. The diamonds were evaluated by GIA and a Diamond Assurance Report is included confirming the authenticity of the diamonds. The ring measures 15.20 mm x 14.40 mm at the head and sits up 10.05 mm off the finger. 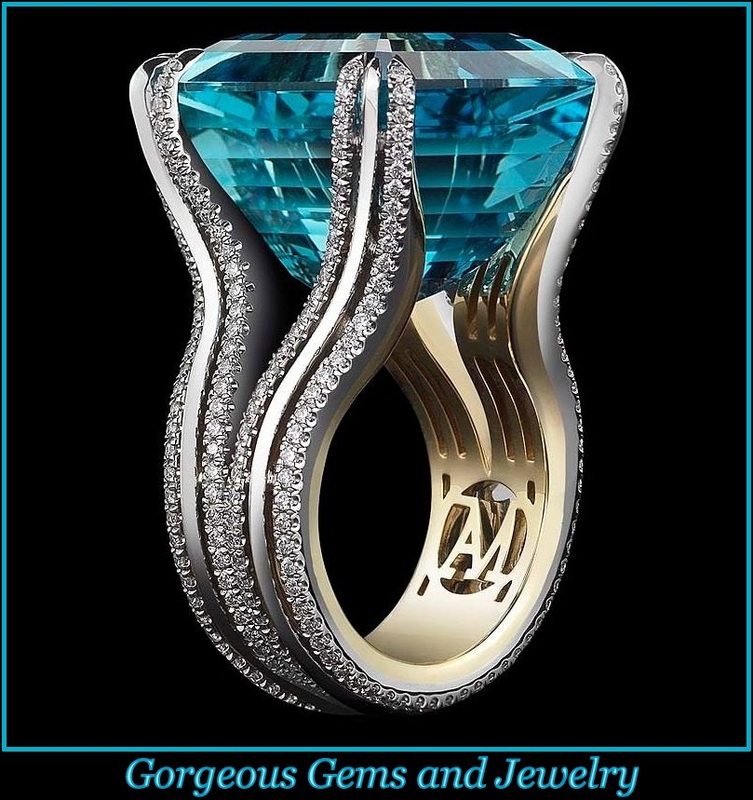 The total ring weighs a HEAVY strong & sturdy 9.16 grams and is constructed of solid 18k White & Yellow Gold with exceptional PRIME QUALITY natural gems.